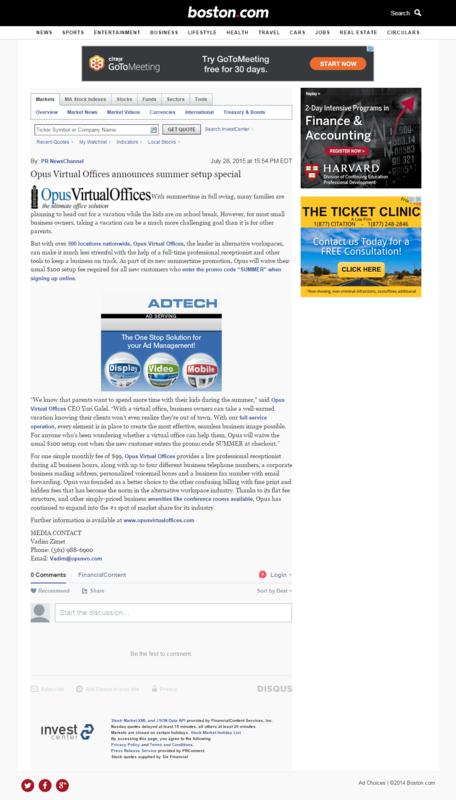 Why Should Your Business Consider a Virtual Office in Denver, CO? During the past decade Denver has gained thousands of new residents each year. The city boasts a population of over 600,000 as of 2014 and ranks in the top 25 largest cities in the country. US News & World Report confirmed what the locals already know by selecting it as the best place to live in 2016. Residents aren't the only ones who have recognized Denver as a great place to call live. Businesses both large and small have chosen to make their homes in this thriving western metropolis home. Just what makes the Mile High City so popular with investors and residents? Colorado and regions surrounding Denver are home to several highly regarded institutions of higher learning. However, some experts have suggested that the quality of in-state education is not the primary reason for the large number of highly educated workers. They point to an influx of residents fleeing the high cost of living in coastal states like New York and California. While yet others point to the legalization of Cannabis in 2012 as a draw for many younger Americans with more liberal views. Still another group of so-called experts suggest that Denver's unemployment rate of 3.1% which is lower than the national average of 4.9% is the main draw. Theories aside Denver business owners have greatly benefited from the deep pool of qualified people. Unlike many regions around the US established companies are not the primary driver increased business activity in Denver. Perhaps due to the influx of young entrepreneurs the city has seen a marked increase in startup activity. 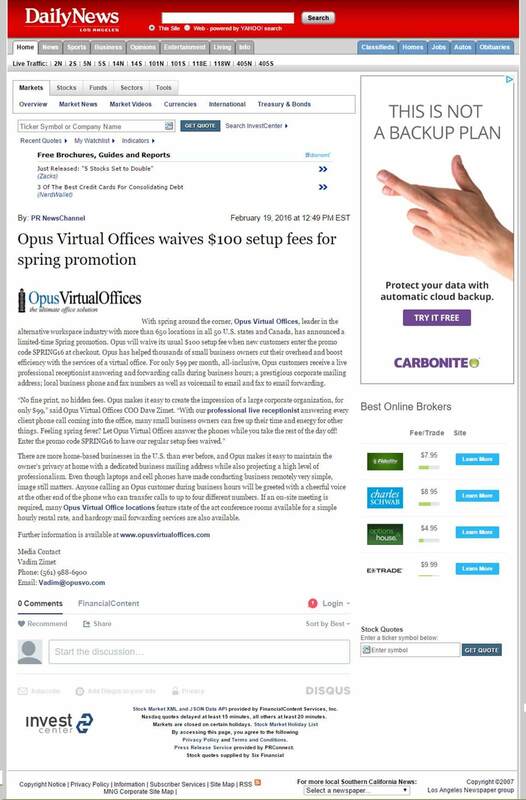 Opus Virtual Offices has also seen an increase in demand for Denver virtual office services due to this trend. Statistics show that between 2011 and 2014, there were 3,200 new businesses opened in Denver creating about 165,000 new jobs. These were high paying jobs as Denver's average salaries were $53,060 as compared to the national average of $47,230. That doesn't mean that well established companies haven't benefited from the area's robust business friendly environment. Denver was recently on top in Bloomberg's Brain Concentration Index as the city has a high concentration of industries requiring highly skilled workforce. These include the University of Colorado, and a host of tech, aerospace and engineering companies. Google has promised to quadruple their workforce in the Colorado campus. It is indisputable that the legalization of Cannabis in Colorado in 2012 had an impact not only in the Denver metro area but the entire state. Recent estimates show that cannabis-related businesses that have come up occupy more than 3,700 million square feet. The Cannabis value chain from growing, packing, retail to value addition has created thousands more of jobs not to mention the demand that has grown for real estate space. There is also a lot of Cannabis business online. This has also given rise to the need among some "weedpreneurs", as cannabis-related businesses owners are sometimes referred, for virtual offices. Being a serious about business doesn't mean the area is lacking in non-business reasons to call the city home. The area offers many fine cultural activities such as the Denver Art Museum, Botanical Gardens, Clyfford Still Museum and many others. The region also give sports fans a lot to cheer about. Denver is home to four professional sports franchises; NFL Broncos, NBA Nuggets, MLB Rockies and NHL Avalanche. Regardless of your favorite sport you can catch a game all year long. If you are more of a doer than a watcher the area will not disappoint. Located at the foot of the Rocky Mountains outdoor activities abound. All just a short drive from the city you can go hiking, mountain biking, skiing, whitewater rafting and more. If the city meets the requirements on your check list contact us today. 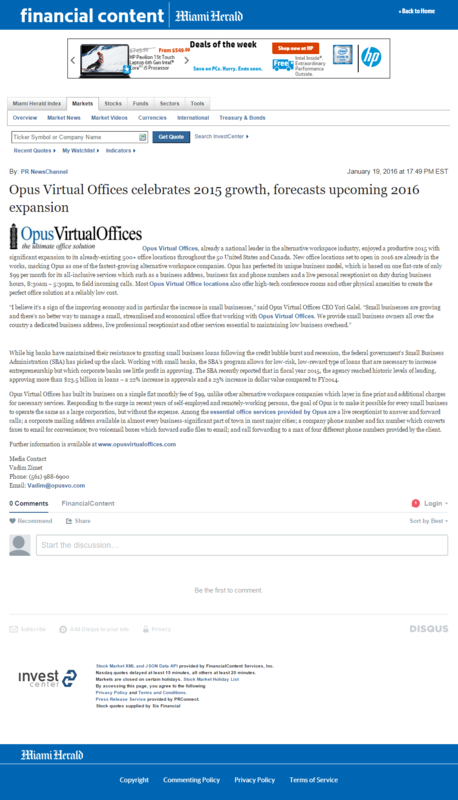 Let us explain all the ways a virtual office from Opus can help your business thrive.